The iPhone 5 contains less hazardous materials than the SIII. 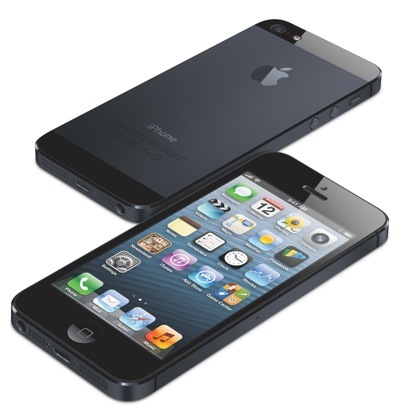 iPhone 5 is also better built than the Galaxy SIII, which means it will outlast the SIII when it comes to a drop-test. So even though Samsung Galaxy SIII might have better specifications on paper, as you can see, specifications are not all that matters. Despite Apple’s iOS system having some years on it by now (the way it looks and works), their new version iOS 6 runs really smooth and well, but is it better than the latest version of Android? That’s up to you to decide, as it’s mostly a matter of taste and how well you are into each systems eco-system. Now I’m off to order an iPhone 5. This is a 3 point knockout for samsung from apple. But then again, the iphone 5 is about three times the price of that samsung. That’s fantastic news that iPhone 5 beats Samsung Galaxy S3 because its features are better than the Samsung. It is also overpowering in the three places which are described here. Am excited to hear about this trendy apple iPhone. Nice article but comments are more interested especially by Adri. If only the price of samsung galaxy SIII more expensive, specifications and the features will be better of course. But of course iPhone 5 will beat Samsung Galaxy SIII! That normally is the case. The one who releases last gets the “better” phone – especially for these two companies. However, Apple’s prices are just way too expensive. I’d personally go for Samsung since they’re a lot like the iPhones but cheaper. Happy to see this post….I always prefer Apple. Samsung lovers and Apple Lover, you must see this. I’ve had both phones… Had a iPhone 5 black 16 GB and traded w/ someone on craigslist for the S3 and indeed the S3 had features that i absolutely liked… But it was definitely slower than the iphone 5. the iphone 5 has better pictures and its just overall precision w/ the phone. S3 has glitches as iphone is smoother. S3 has a better screen size. iPhone is like having a Benz as having a S3 is like owning a Audi. P.S i traded my S3 back for the iPhone 5 white 32 GB…All cost me ZIP..